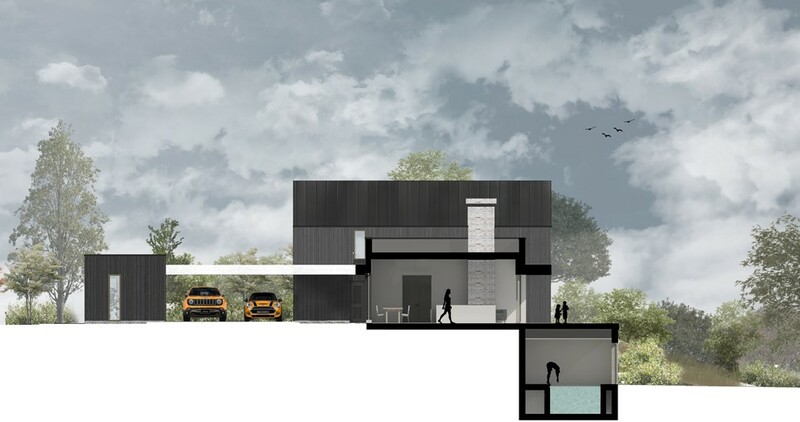 The brief for this new build house in Cheshire was to create a bespoke, contemporary home to replace the existing dilapidated property that currently sits on the plot. Located in the Cheshire Green Belt, the site is situated in a rural context, surrounded by farmland and agricultural buildings. 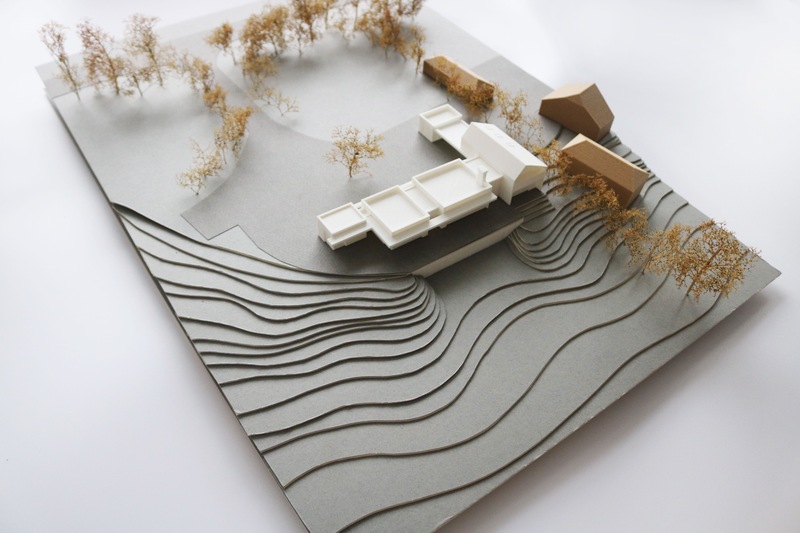 The key priority for the client was to maximise views of the site which is a large, green, semi-rural plot that is bound on both sides by mature trees and drops down to a meandering river below. 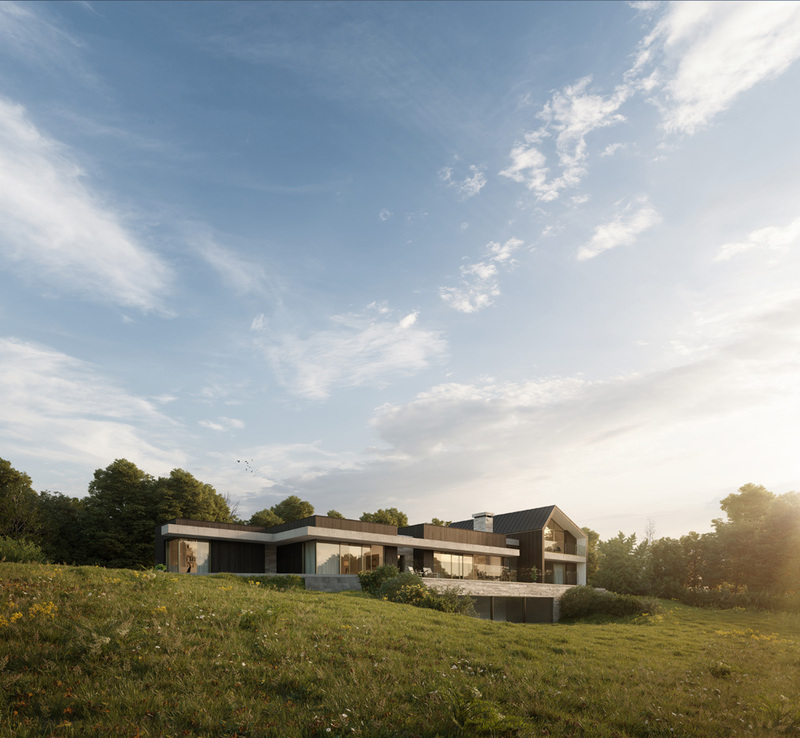 Artform Architects’ design locates the new house largely over the footprint of the existing dwelling to minimise the impact on the Green Belt and to situate the building on the flat plateau that marks the high point of the site. 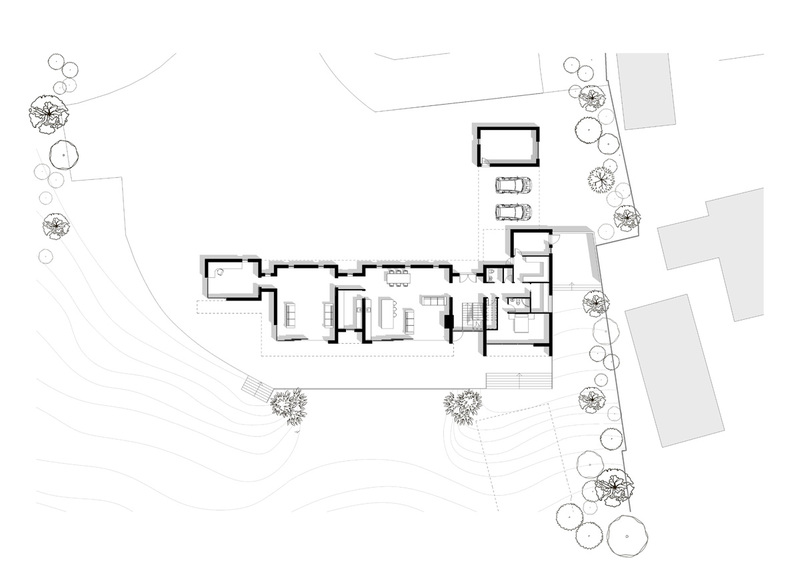 This allows the internal spaces to overlook the plot as the ground level drops away and creates the opportunity to position a triathlon lap pool at basement level that is sunk into the slope. 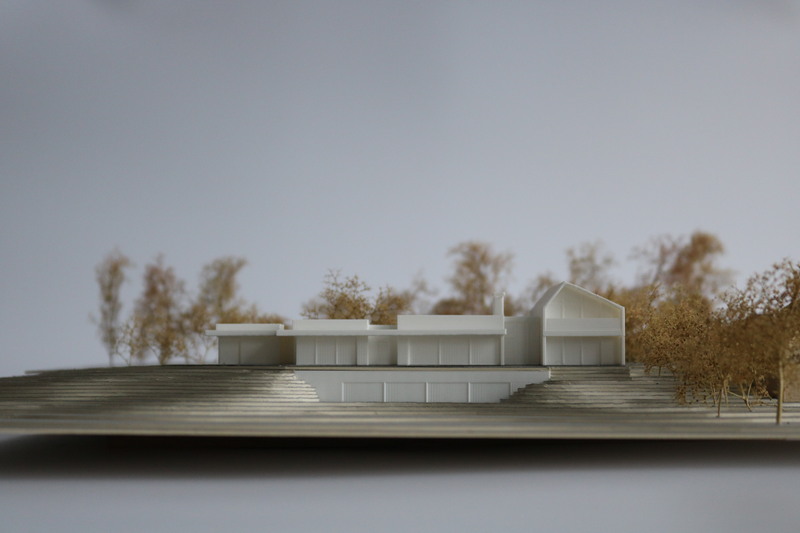 The design is conceived as a series of timber clad volumes set in a linear arrangement across the site so as to provide each living space with a south facing view of the plot as well as high levels of natural light. On the front facade the glazing is arranged as a series of vertical slot windows to maintain privacy from the front drive and to reduce heat loss on the northern elevation. The timber boxes are stained black to reflect the local context and to act as a reference to the surrounding agricultural architecture. The connecting spaces between these volumes are clad in natural stone to differentiate circulation space from habitable rooms and to help break up the overall massing of the building. Glass reinforced concrete panels clad a projecting canopy which provides solar shading and protection from the elements as well as emphasising the horizontal, linear arrangement of the house. 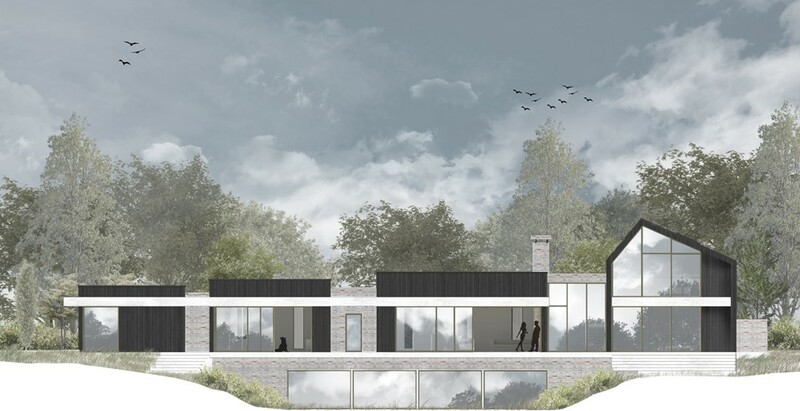 The design is intended to be highly sustainable with a SIPs timber frame, an MHVR ventilation system, high levels of airtightness, solar panelling and ground source heat pumps.